When people hear “custom made,” they think expensive and for people with huge egos. But, custom-made clothes actually last a lot longer than the ordinary off-the-rack clothes as well as showcase your personal style. 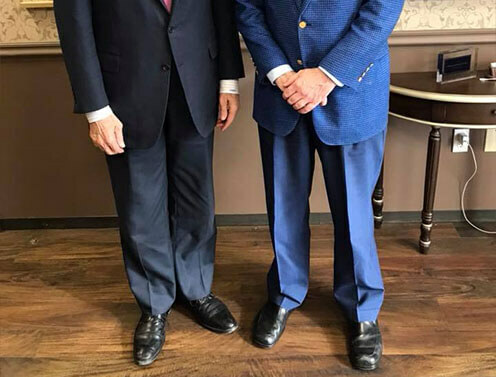 People who buy off-the-rack trousers usually don’t get that fit that they desire but our custom men’s slacks in Dallas, TX also looks sharper and compliments your body shape. This is the distance from the top of the waistband down to the bottom of the crotch area. In ready-made pants, the length of the rise usually varies by one-half inch from short to regular to long; though the definition of “regular” differs among manufacturers. 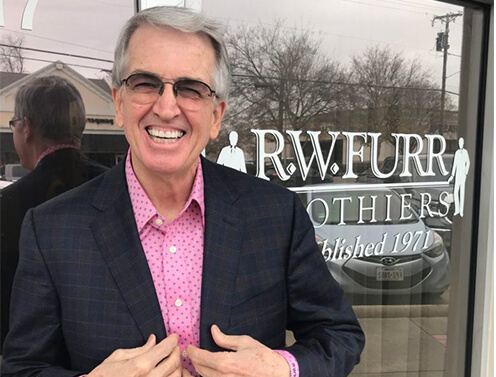 At R. W. Furr, your trousers will be cut to your exact proportions and balanced in the front and back for the utmost comfort. The “drop” is the difference in inches from the seat to the waist. Most men are 6 to 8 inches smaller at the waist than at the hips. When the drop does not match your measurements, extensive alterations are required, which can adversely affect the balance of the pant. Making adjustments from the back can distort the symmetry necessary between the front and back panel of properly fitted trousers. R. W. Furr cuts the pant with the proper balance, which enhances the drape and feel of the finished product. Anyone who wants to look good is aware how first impressions are crucial. That’s the goal of custom made clothing, it’s well-adjusted to your personal measurements while providing enough ease and comfort while giving you that confidence to make a great first impression. Extreme tightness or looseness shouldn’t be felt since these bring down your confidence. 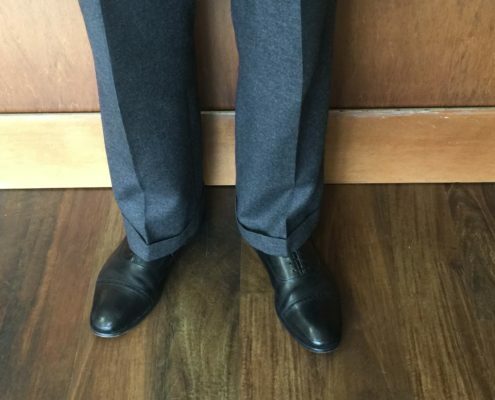 Our custom men’s slacks in Dallas, TX will give you a boost of confidence to look and feel your best! Finespun Italian cotton pocketing does not pill, a term used to describe the balling up of the fabric in areas over which your hand frequently passes. R.W. Furr uses all the best trimmings: Ban-Rol waistband, heel guards, and gripper pads are only three examples of our commitment to creating the finest trousers you have ever owned. You will never see stitches at the top or bottom of a belt-loop. At R.W. Furr Clothiers, we make sure that you leave our store feeling satisfied and comfortable in your new custom men’s slack in Dallas, TX. We have a 100% satisfaction guarantee and we can ensure that you will be satisfied with your trousers. Call us today to get you looking sharp!